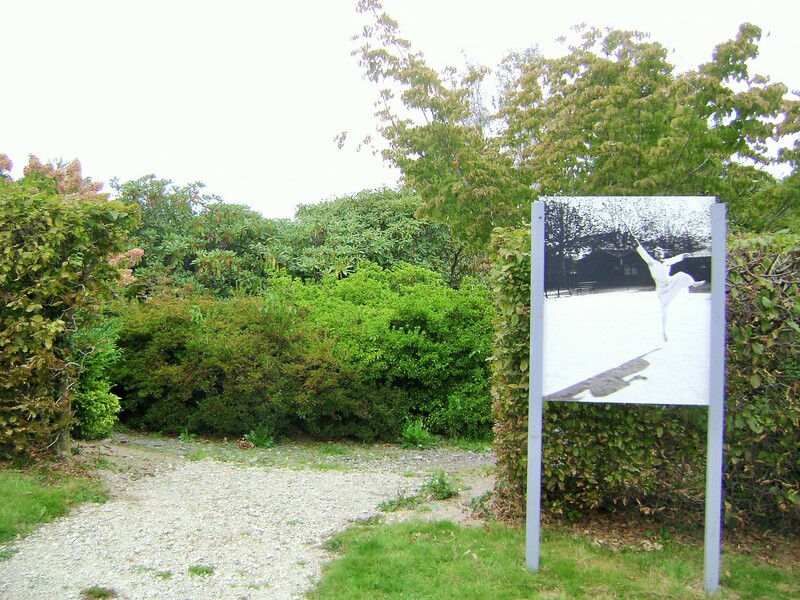 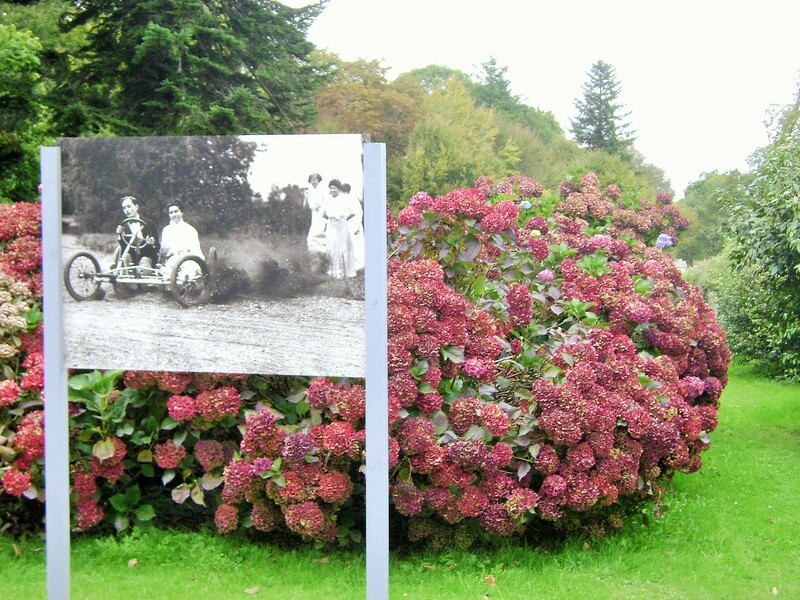 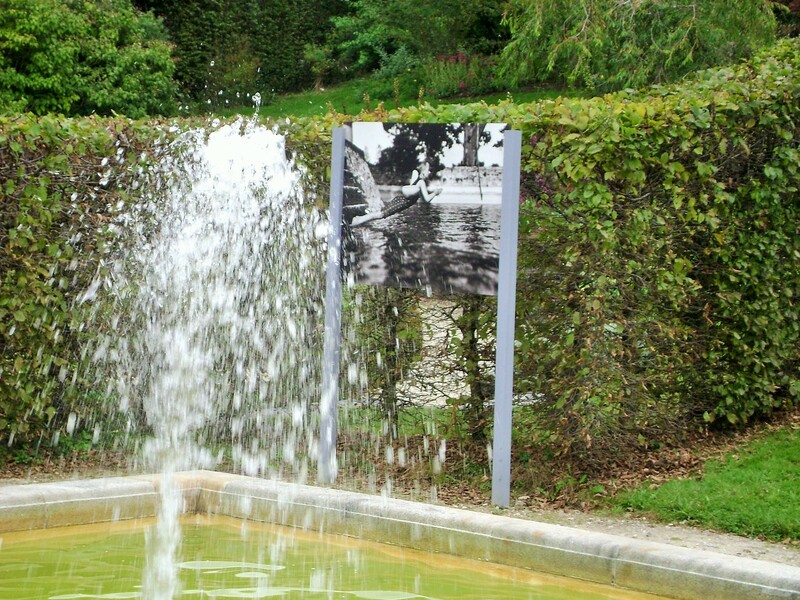 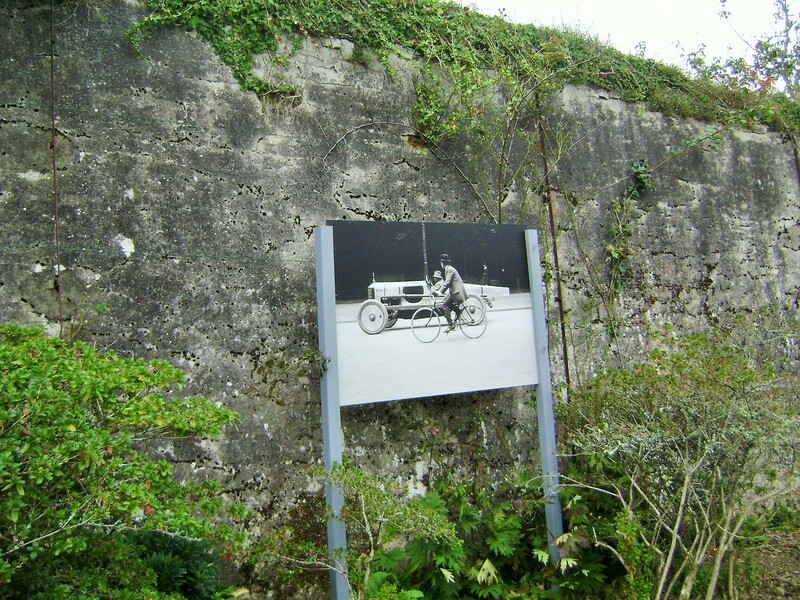 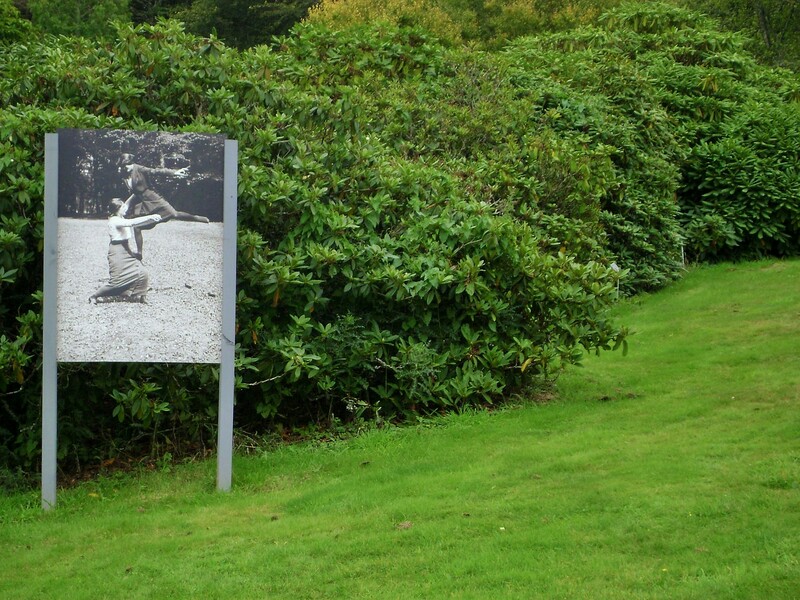 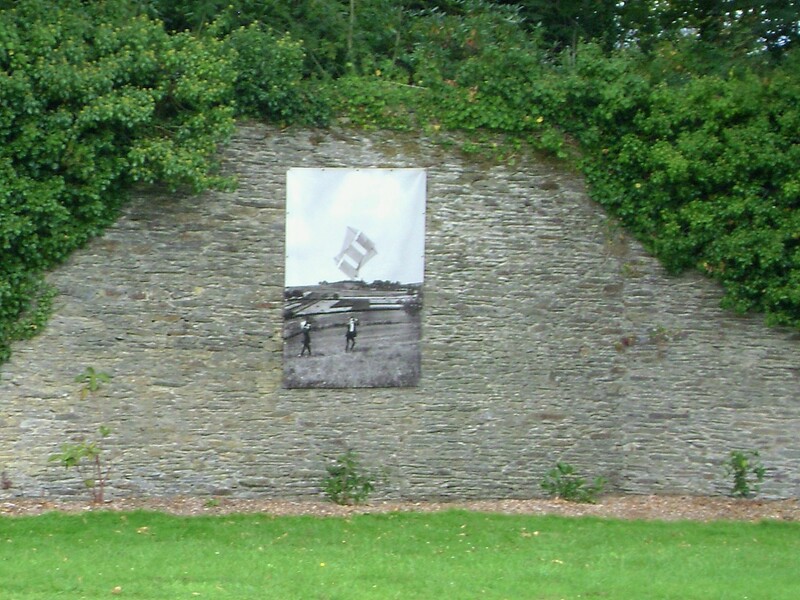 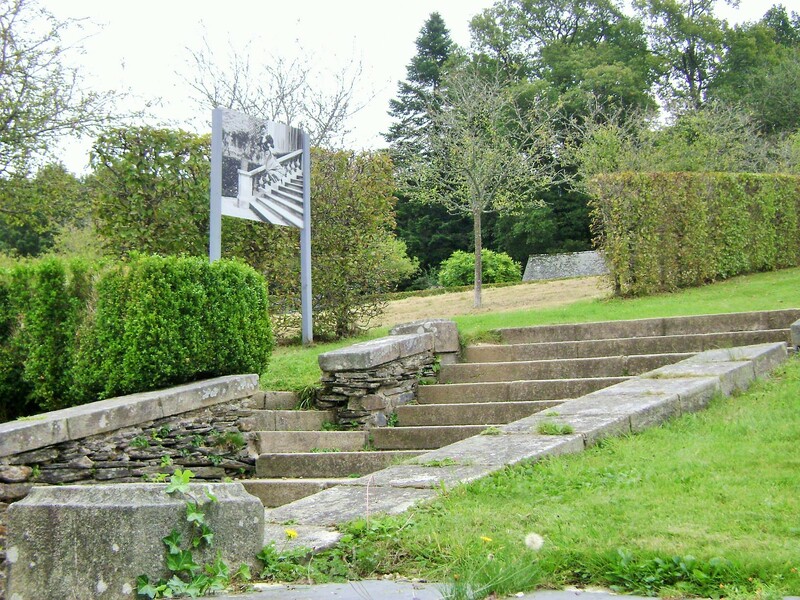 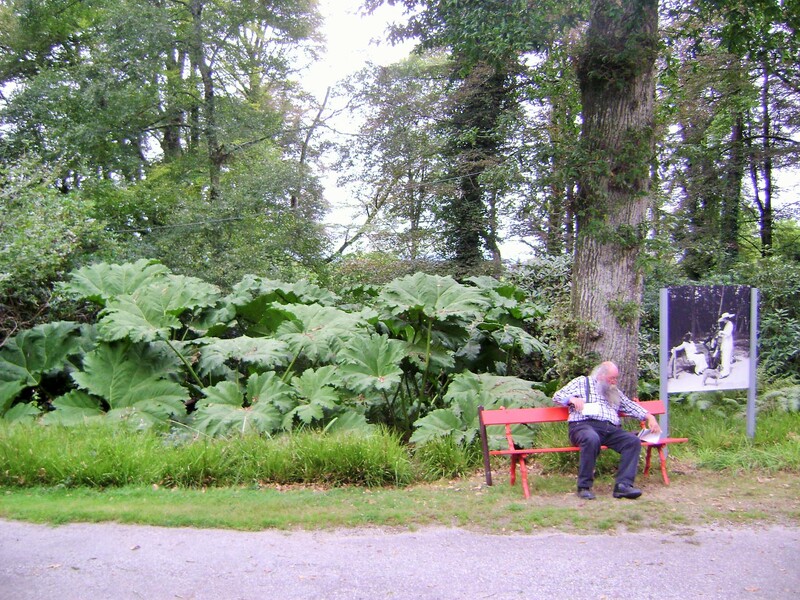 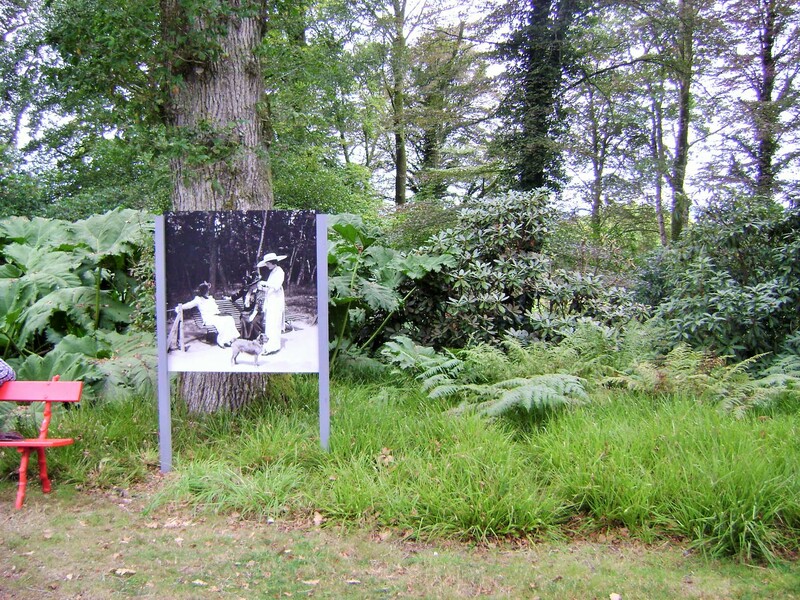 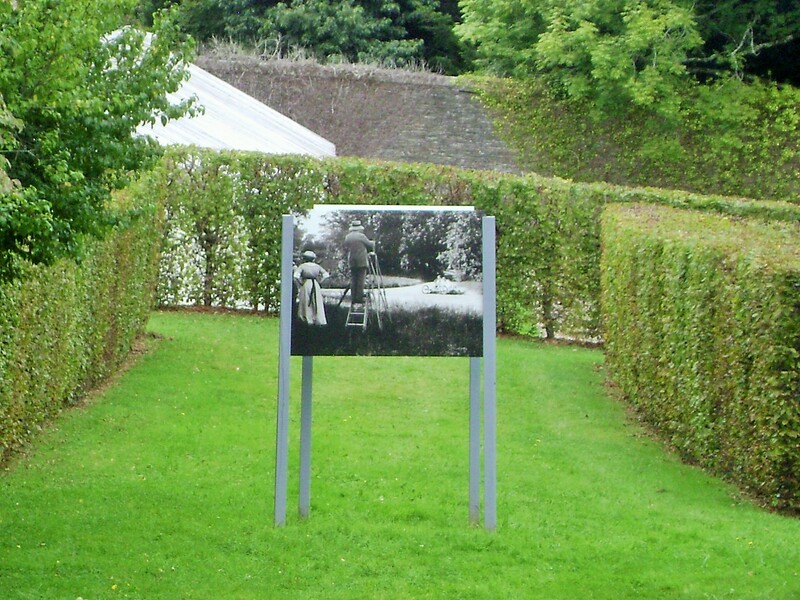 In this post, I am featuring the ART IN THEGARDENS, here the photographs of Jacques Henri Lartigue, renowned French photographer and chronicler of the lives of the wealthy in the heyday of Trevarez, in the teens and twenties until the war. 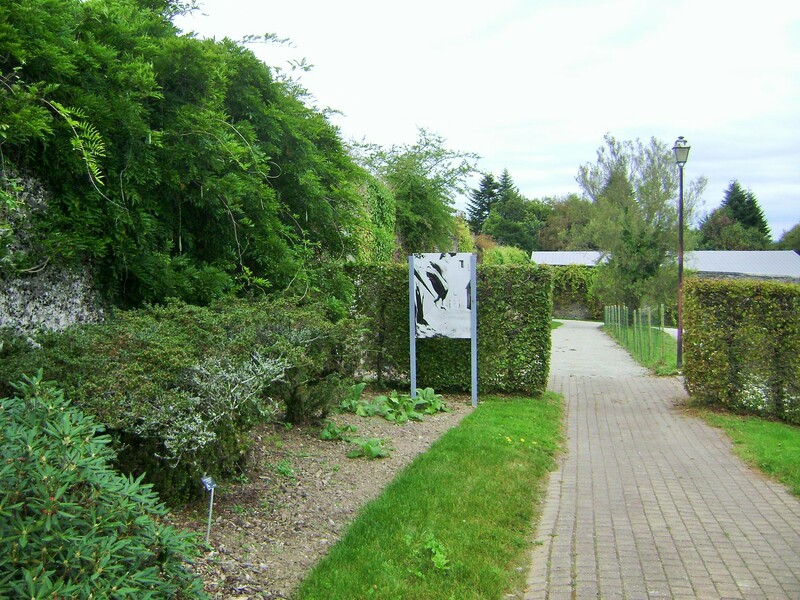 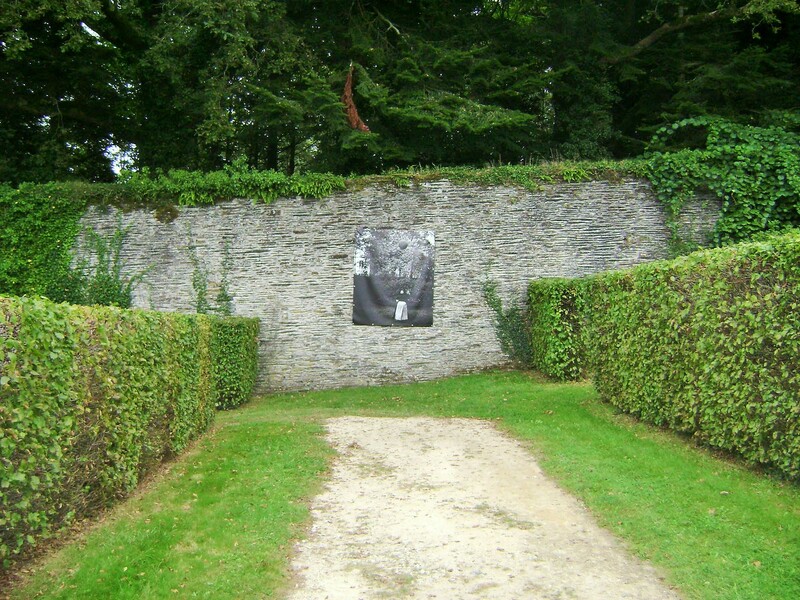 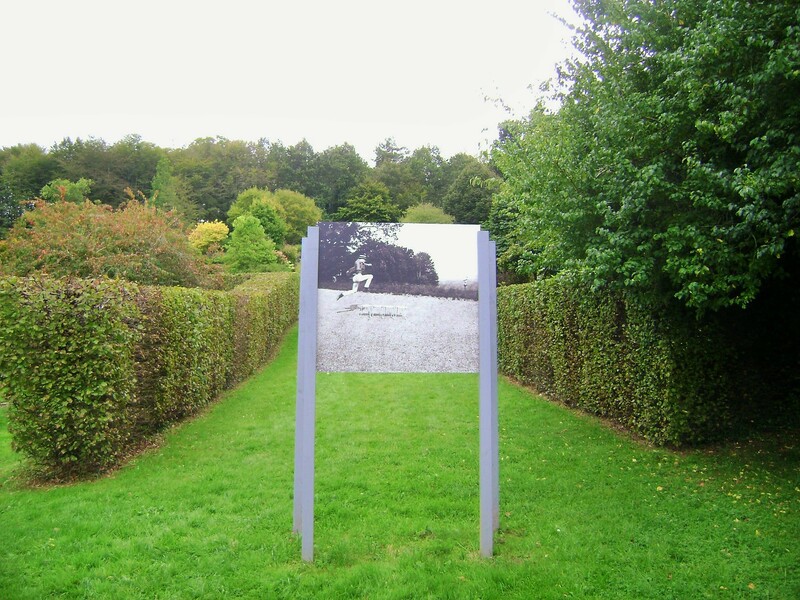 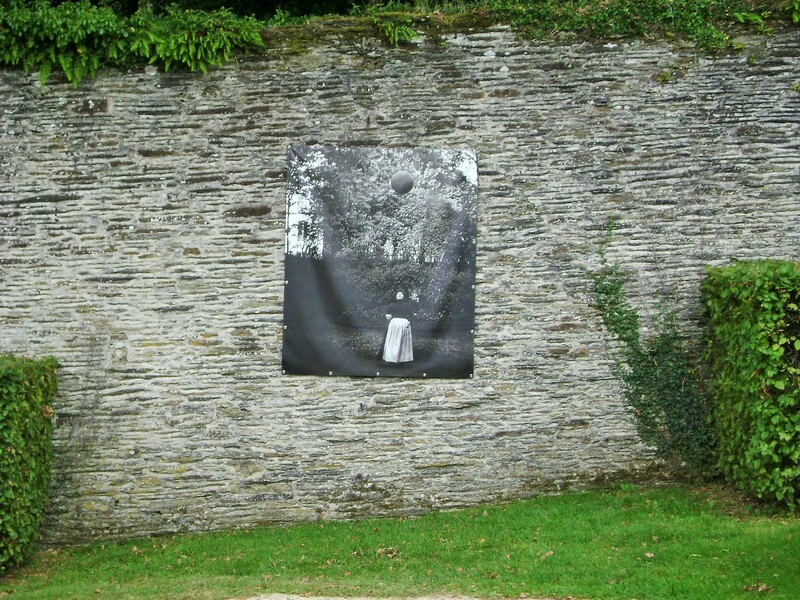 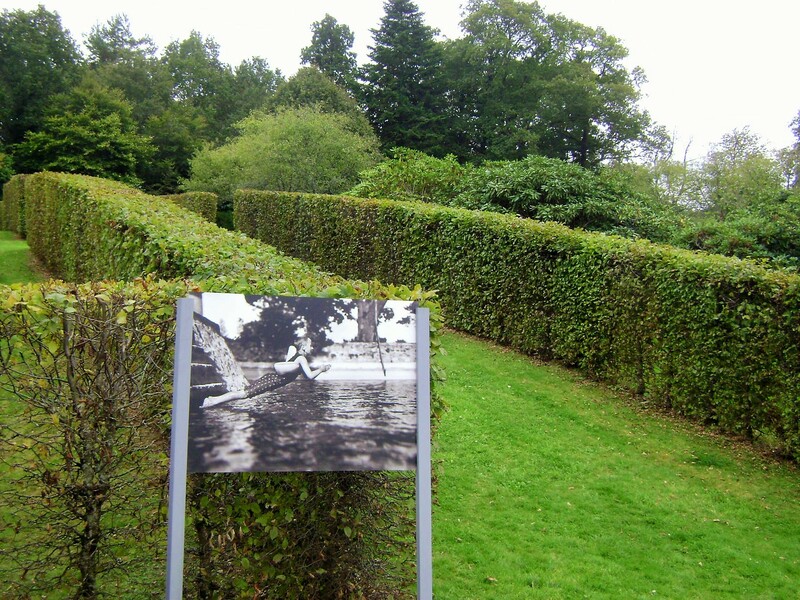 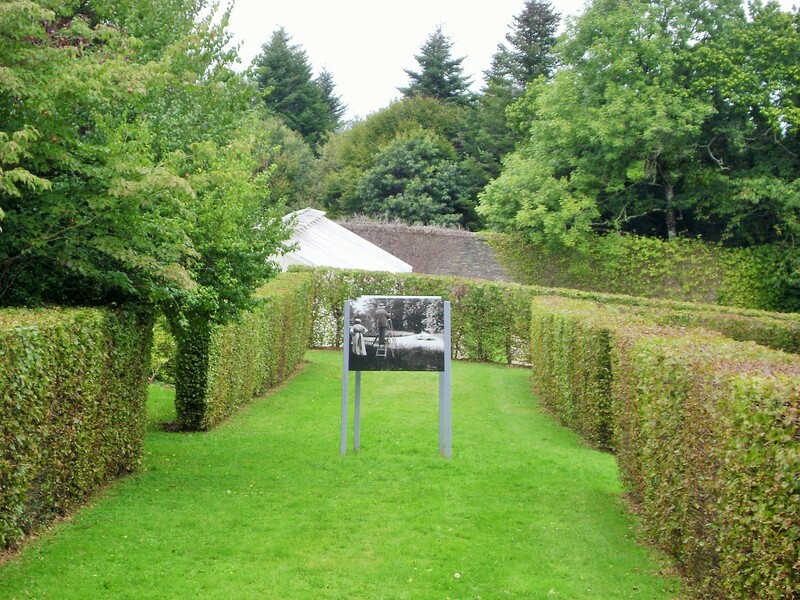 Trevarez seamlessly integrates large scale photos in black and white to the gardens in a series of garden “rooms” enclosed by hedges, with a series of paths create a perfect rhythm for viewing the art against the formal and almost stark background of that part of the gardens. 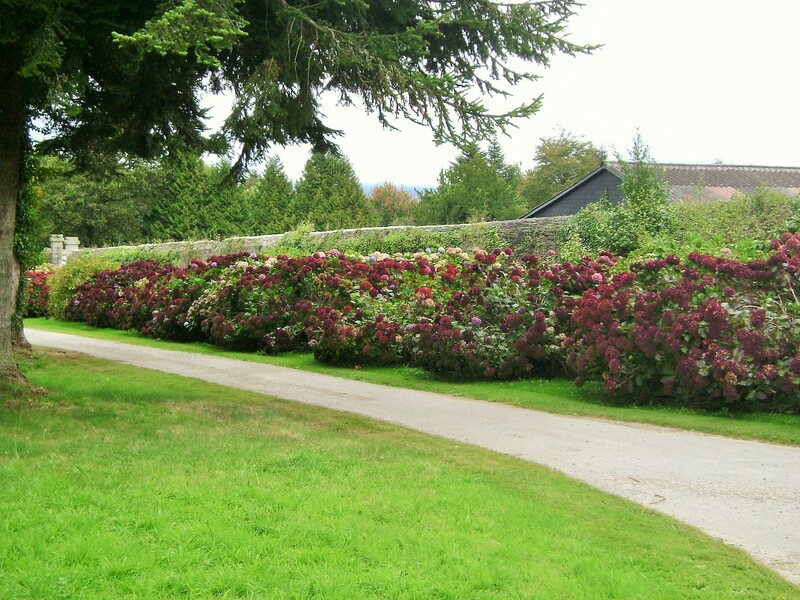 Of course, in the spring, the formal gardens would be softened by the many azaleas and rhododendrons in bloom. 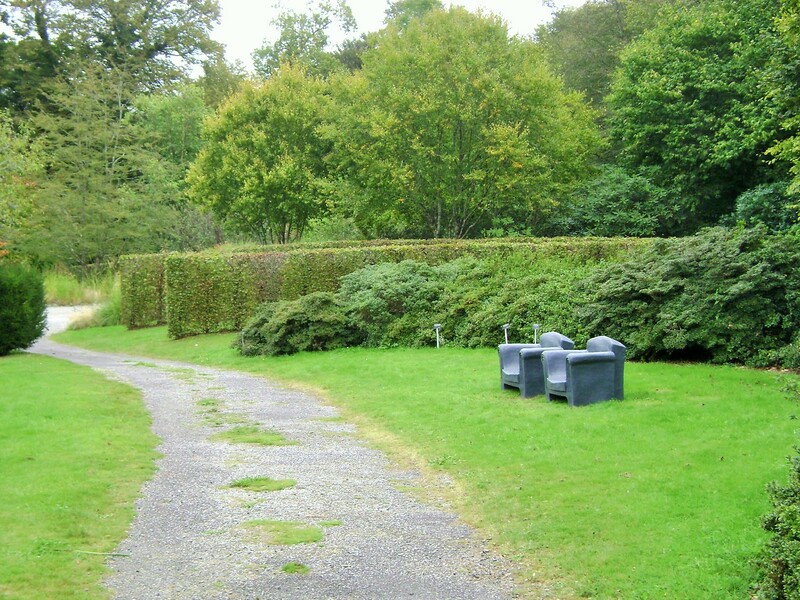 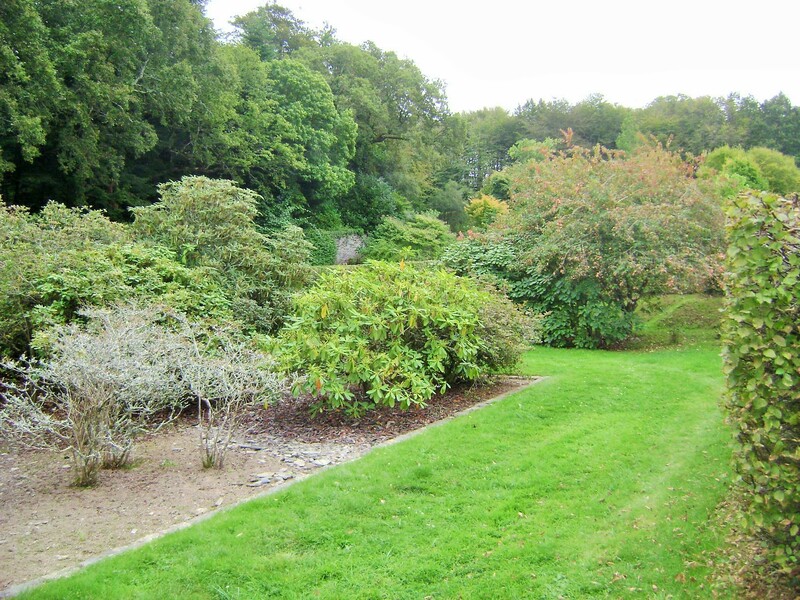 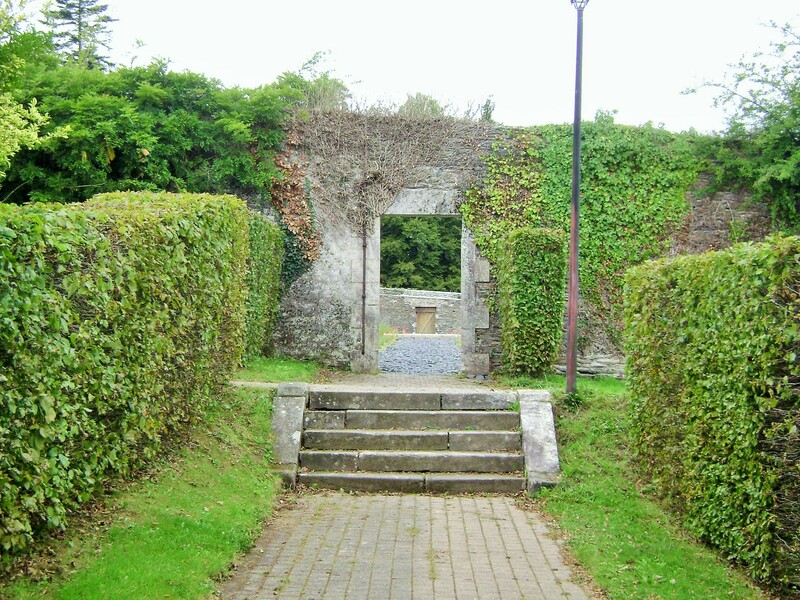 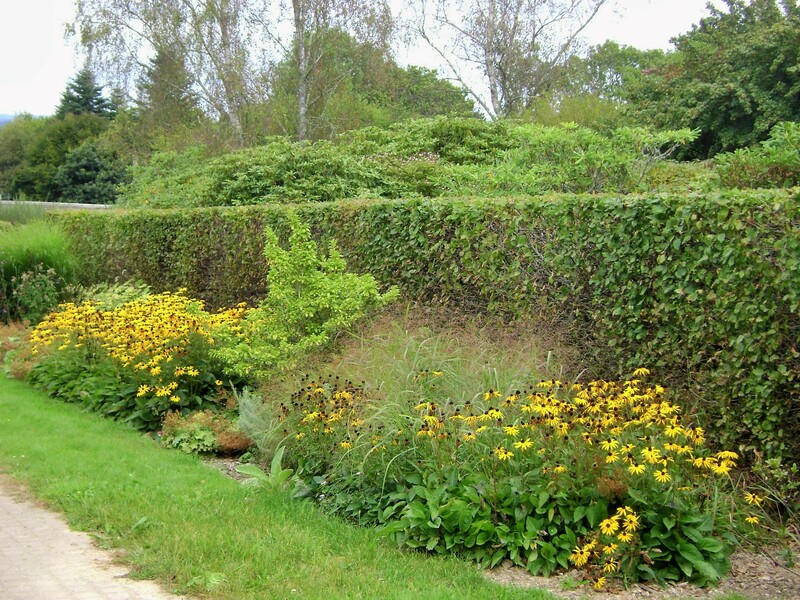 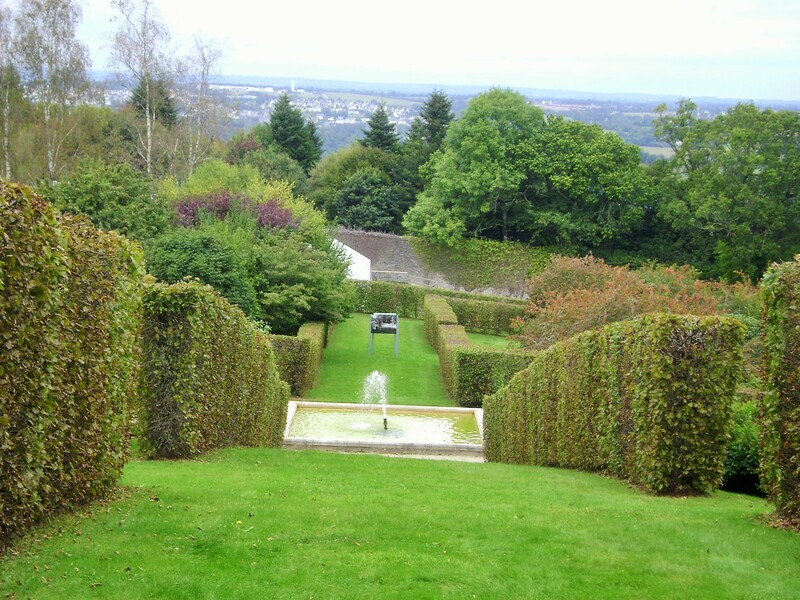 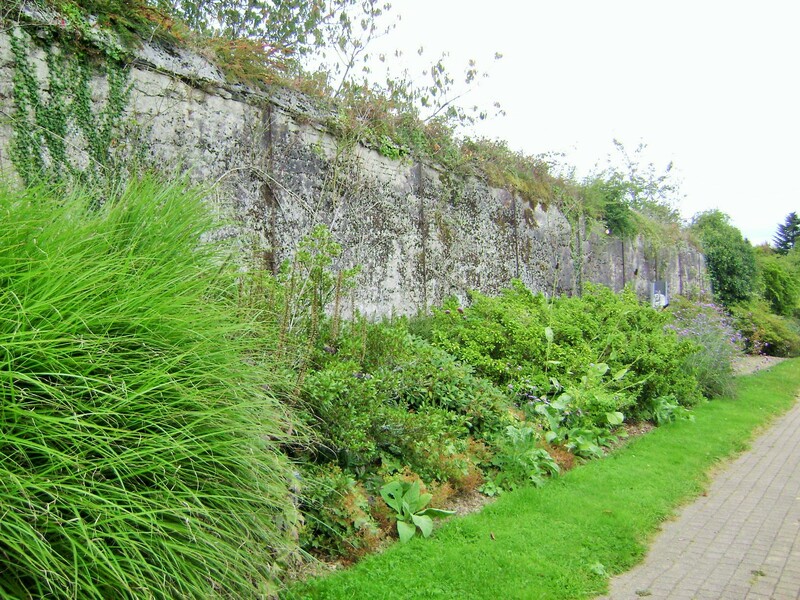 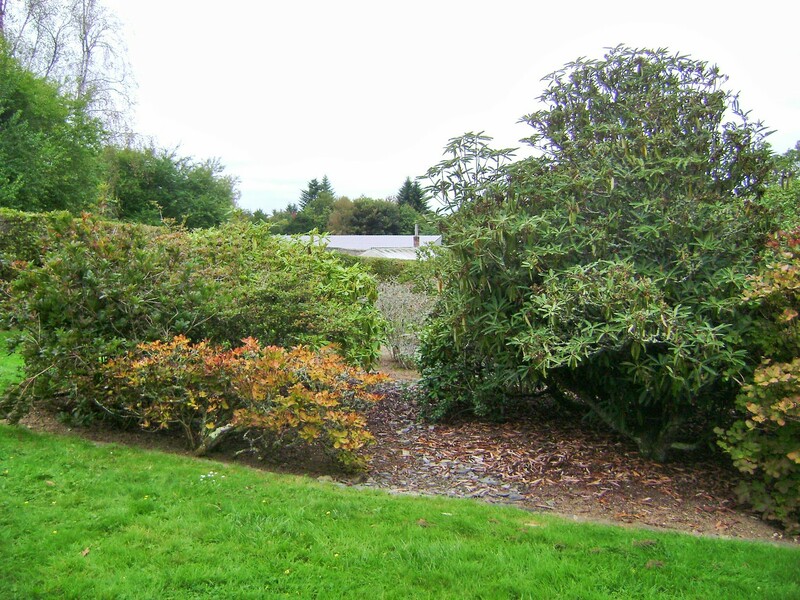 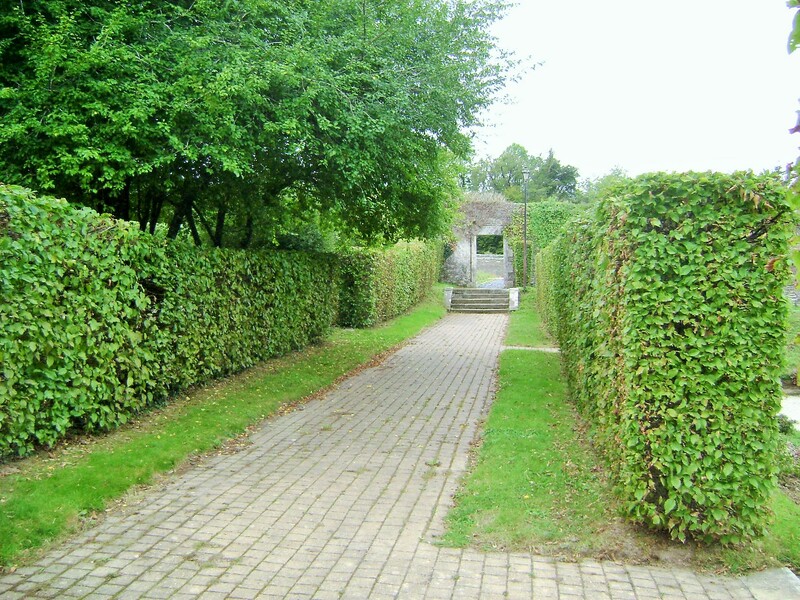 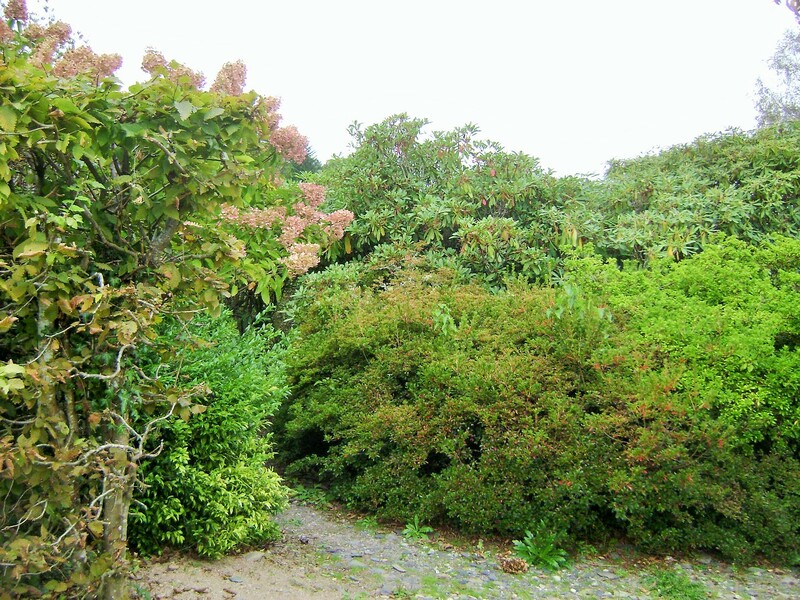 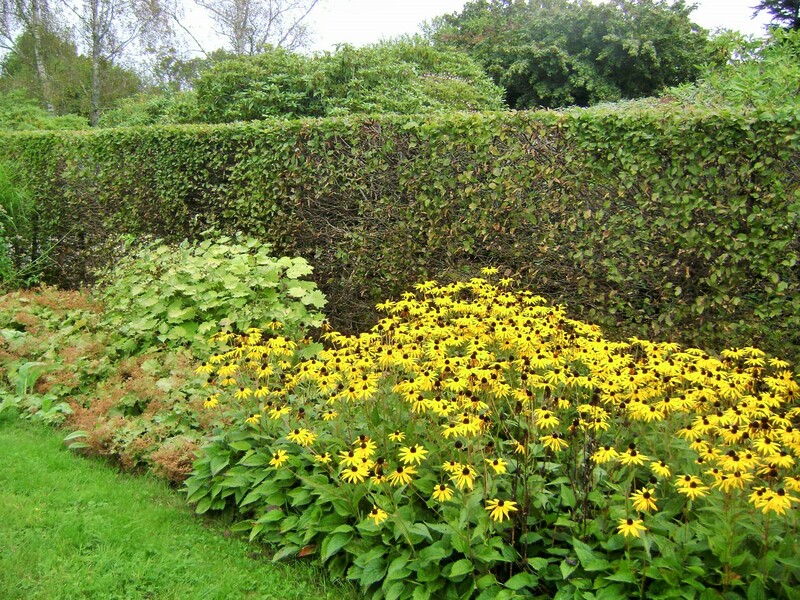 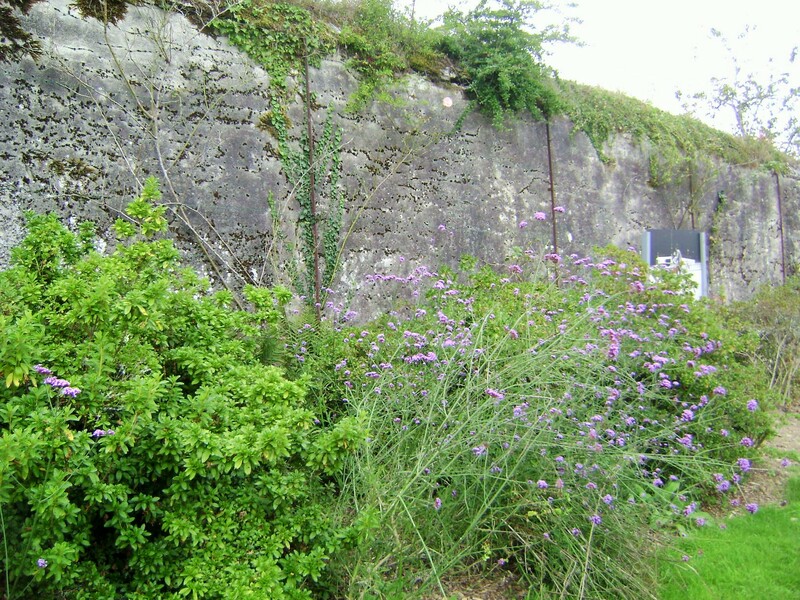 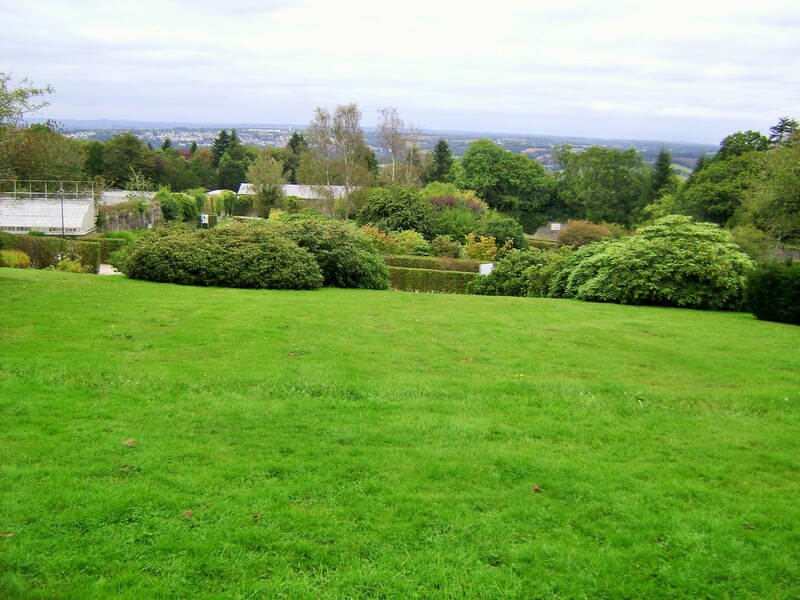 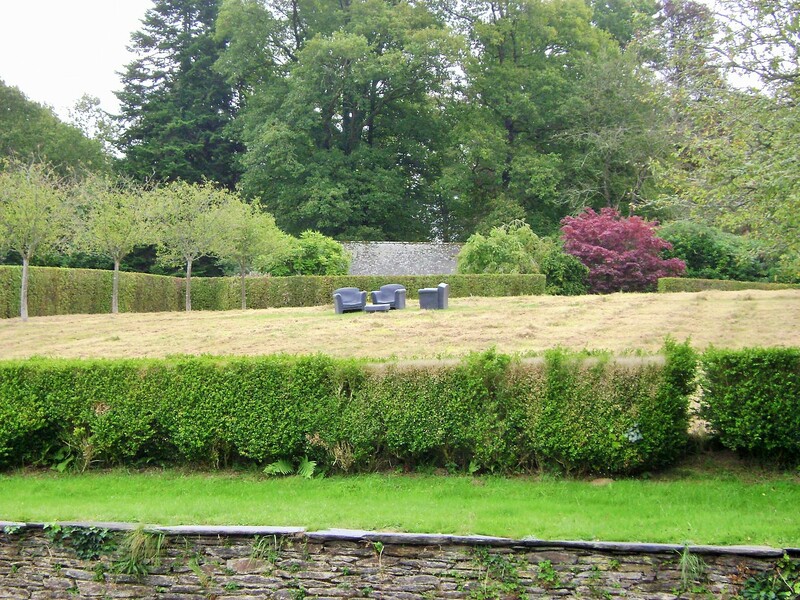 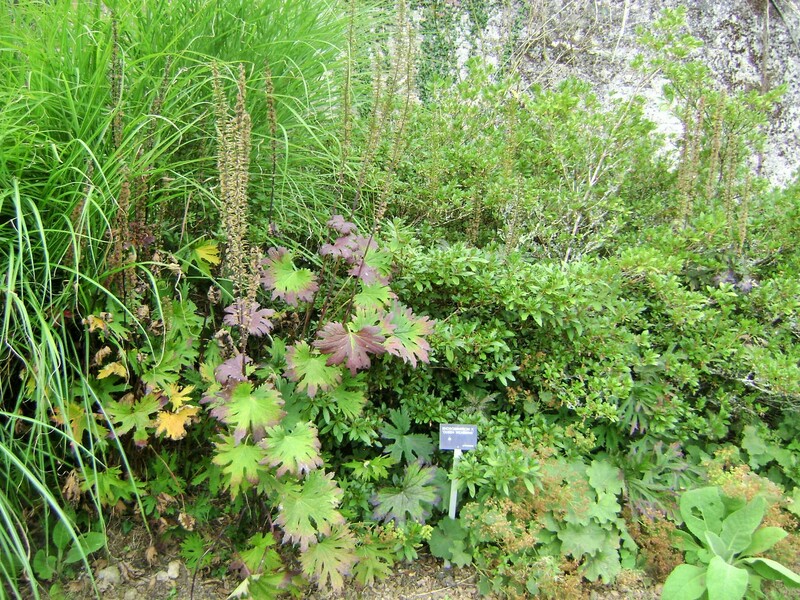 I have included a few photos of the shrub borders for reference. 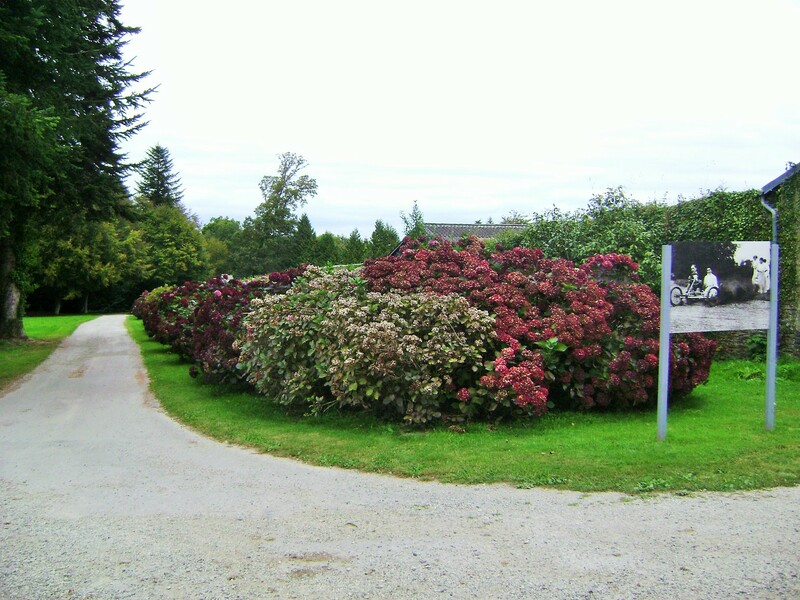 The exhibit starts by the theme gardens and ends past the hothouses and the stunning hydrangeas alley blooming into September.